Jeremy Sourbeer and his team bring over 40 years of COMBINED mortgage lending experience. Jeremy has had the honor and privilege of closing thousands of residential mortgage loans for families all across the Dallas-Fort Worth metroplex. In fact he closed 343 loans for $107,462,296 between 2017 and 2018 alone making him one of the top Loan Originators in the State of Texas. 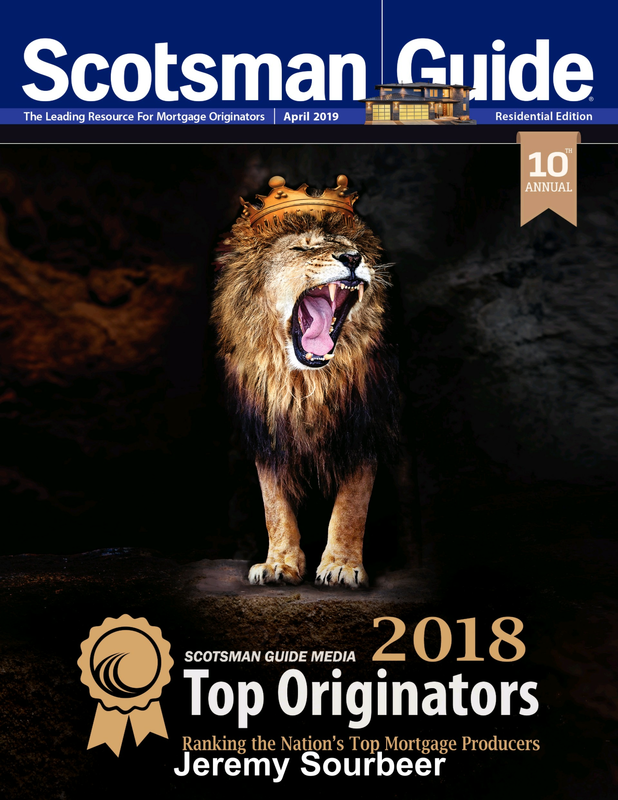 He is ranked by the Scotsman Guide, which is the only audited Mortgage Ranking Publication, as the #440 Loan Originator in the entire country and #34 Loan Originator in the state of Texas for loan volume in 2018. Global Lending Solutions has been serving borrowers in the Dallas-Forth Worth metroplex for over a decade. We have access to almost EVERY type of loan program you can think of ranging from Conventional Loans, Jumbo Loans, FHA Loans, VA Loans, USDA Loans, Renovation Loans, Bridge Loans, Manufactured Home Loans, Construction Loans, Doctor Loans, Down Payment Assistance Programs, DACA and ITIN Loans, Bank Statement Programs, 1 Day out of BK Programs and many more. This allows us more options to get buyers into a home when other lenders could not. We pride ourselves on having some of the most competitive rates in the country. Due to the high volume of loans we originate we are able to offer lower rates. In addition as a company we keep our costs and overhead as low as possible by eliminating unnecessary national marketing and middle management salaries. This business model allows us to pass the savings to our borrowers in the form of lower rates and fees. Global Lending Solutions and The Jeremy Sourbeer Team have an obsession with customer service that is unsurpassed. We deliver our closings on time every time. PERIOD. We have delegated underwriting approval on the majority of the loans we originate which allows us to underwrite the loans in house and close the loans faster. In addition with our in house set up concierge team, disclosure team, and processing team, we control the process from start to finish which ensures a top notch level of service and on time closings.